Indicator relay for a Fiat 126 (although probably works with many other cars of this era) Marking on the side says MAGNET DLB - SL - 12V 2 x 21W - 4W 2W This is an original relay, and not the common ones that are too chunky to fit in the fuse box. FIAT / ALFA. 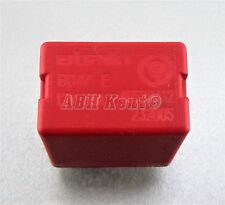 MICRO RELAY. GENUINE NEW. 702.30 D272. Lancia Almost All Models From (2009-2017). Fiat Almost All Models From (2009-2017). Genuine Fiat4 Pin Black Relay / Multi-Use Relay. Good Working Order. Condition:Used and Good Working Order. FIAT MULTIPLA PRE-FACELIFT 1998-2004,RELAY A727 581 (Removed from a right hand drive car). THIS RELAY IS FROM A YEAR 2001 FIAT MULTIPLA SX, 5 DOOR MPV 1.6i ( Engine Code 182B6) 5 speed Manual. Genuine5-Pin Grey Relay / Multi-Use Relay. Good Working Order. Condition:Used and Good Working Order. Made ByFiat Group. 1242cc 69/51 8v. Air Conditioning Relay. Air Conditioning. 500 Pop (MK1 (312)) (ABS). Exterior Colour Code. Interior Trim Code. The table below contains further information. This item is a used vehicle part and as such may have signs of general wear/handling. FIAT DUCATO. FIAT TALENTO. FIAT PANDA. INDICATOR RELAY. FIAT ELBA CSL. FIAT UNO CS. FIAT FIORINO. LANCIA DELTA EVO. B047 A727. Genuine5-Pin Grey Relay / Multi-Use Relay. Good Working Order. Punto, Ducato, Doblo, Bravo, Brava, Marea, Coupe, Ulysse.etc. Fits Almost All Fiat Models. 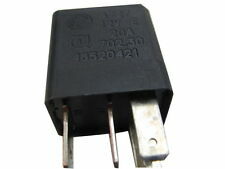 Genuine Fiat4 Pin Black Relay. Good Working Order. Condition:Used and Good Working Order. Fits both LHD & RHD cars. Multipla, Brava.etc. 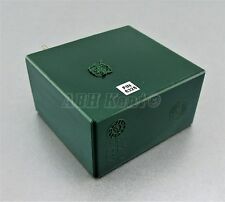 Genuine Fiat8 Pin Green Relay. Good Working Order. Condition:Used and Good Working Order. Omron Part number: 250002. Lancia Almost All Models From (2009-2017). Fiat Almost All Models From (2009-2017). 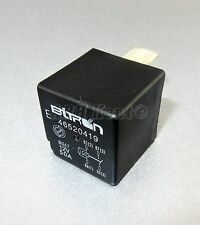 Genuine Fiat4 Pin Black Relay / Multi-Use Relay. Good Working Order. Condition:Used and Good Working Order. 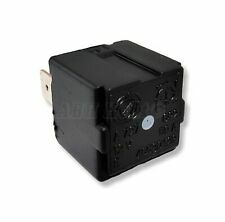 Fiat Ulysse, Citroen C8 & Peugeot 807 Multi-Use 4-Pin Pale Blue Relay 12V 250102 50A Bitron. Fiat Ulysse. Peugeot 807. Citroen C8. 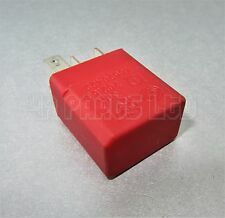 Genuine Fiat4 Pin Pale Blue Relay / Multi-Use Relay. Good Working Order. Fiat Alfa Lancia (2005-2017) 5-Pin Radiator Fan Relay 46520438 12V 30A/ 40A V23136-A1001-X46. 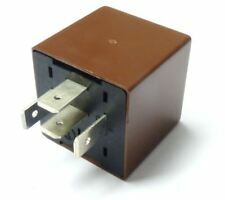 12V 30A / 40A. 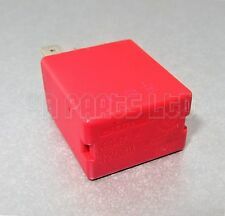 Genuine Fiat5 Pin Black Relay / Radiator Fan Relay. Fiat Almost All Models From (2005-2017). Birton Part Number: 232006. Fiat Almost All Models from (1990-2010). Genuine Fiat4 Pin Black Relay / Multi-Use Relay. Good Working Order. Condition:Used and Good Working Order. Made ByBirton. 126BIS, 850T. FIAT 124, 126. INDICATOR RELAY. GENUINE FIAT PART. MANY OTHER. are suitable for their cars.